Move from Mark III model through prototyping to manufacture for trials. Do everything possible to win the Buckminster Challenge and generate as much PR as possible in the process. Continue to be totally committed to getting the ColaLife concept trialled and properly evaluated. Simon Berry to commit to ColaLife full time from June 2010. Design the processes needed to bring ColaLife to life including the systems to monitor and financially reward the delivery of AidPods. Obtain high level, formal endorsement of the fact that the ColaLife concept needs to be properly tested and evaluated. Raise the funding necessary to achieve the ColaLife objectives. Give all we can to tackle the totally unacceptable levels of child mortality in developing countries (currently around 20%). We are determined to have a global impact on the health and quality of life of citizens of developing countries. Undertake an independent evaluation of the ColaLife trial to form the basis of the wider roll out of the concept across Africa and elsewhere. Continue to be the glue that keeps unlikely partnerships together to foster the innovation required to solve of the planet’s most intractable problems (child mortality). The John F Kennedy ?? would be the preferred evaluation partner for the ColaLife trials. The fieldwork Coca-Cola is undertaking in Tanzania is called the ‘Learning Lab’. Trialing of the ColaLife needs to be part of the Learning Lab’s programme of activities in 2010. 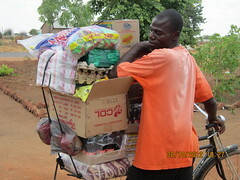 To implement ColaLife in a way which financially rewards the micro-entrepreneurs that take Coca-Cola (and AidPods) the ‘last mile’. Never forget how devasting the loss of a child is to its parents. Continue to run the ColaLife campaign and project using open innovation principles. Seek as many opportunities as possible to tell the ColaLife story and further build support. By the end of 2010 the Queen of England should know what ColaLife is. Continue to recognise the contributions supporters make to moving ColaLife forward. Investigate how SMS-based systems can be used to monitor and reward AidPod delivery. To undertake properly evaluated trials of the ColaLife concept in Tanzania. Not just ‘the ideas behind ColaLife’ that Coca-Cola has already committed to doing. Submit a Level 2 application for an UnLtd Award to support the UK elements of ColaLife. Build alliances with organisations like these to make ColaLife a success. 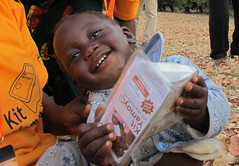 Continue to use online, new media to support all aspects of the ColaLife project. We want to reduce this in developing countries so that it compares to the level in more developed countries. Continue to enthuse young people and provide opportunities from them to engage. Thanks to Luke Berry for the hand-crafted font which was first used in the ColaLife animation.